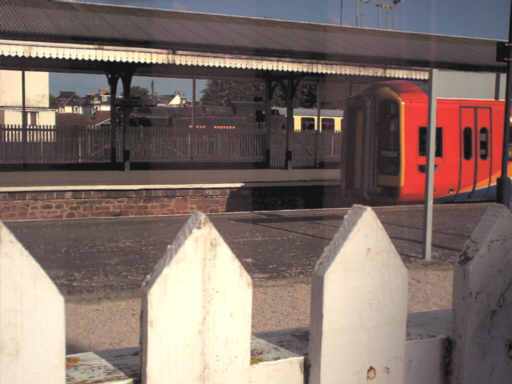 I called in on my old haunts at Paignton on a June Sunday evening, the first bit of this page is of the Paignton and Dartmouth Railway's Queens Park Station. 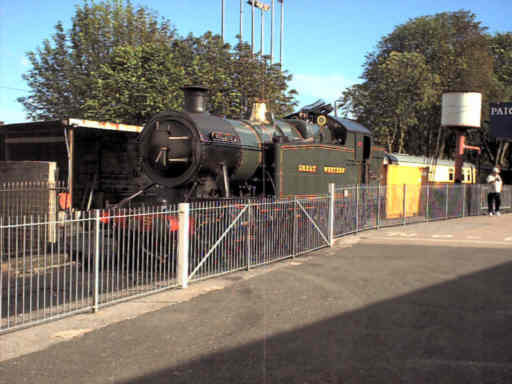 The first view is looking up the approach road to where ex GWR 2-8-0T 5239 Goliath can be seen standing simmering after its days work. The next is a closer look at 5239 which is a useful loco for this line which has several steep gradients and curves to hold the trains back. 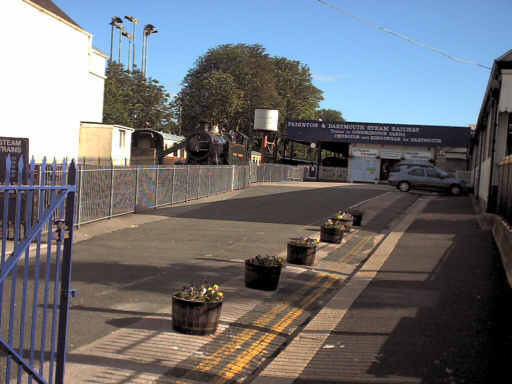 This station, built on what was BR's Park Sidings, has slowly grown to fill the site available, one good point is that loco servicing is visible to passers by. 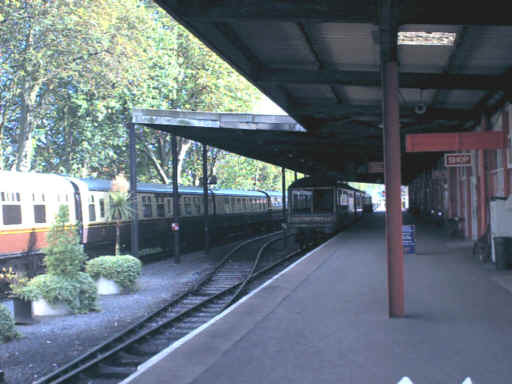 The third view of it sees the Devon Belle Pullman observation car on the tail of a rake stabled in the station for the night with the railway's dining train in the siding on the right. This siding is an addition to the width of the site since BR days taking the site to its limit for stabling capacity. 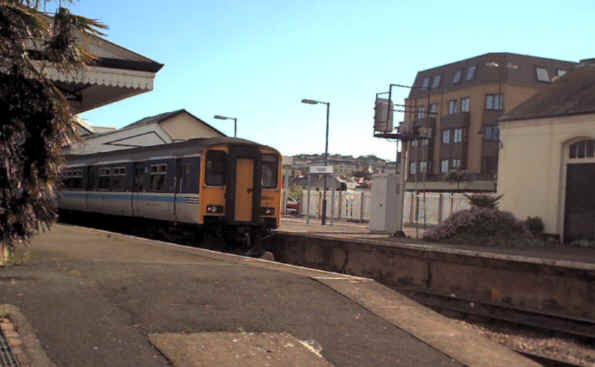 Turning slightly from the first view sees a Wessex Trains class 150 dmu leaving from the adjacent mainline station en route for Torquay and Newton Abbot. Since my days around there several buildings have bee demolished making both stations much more open to view. 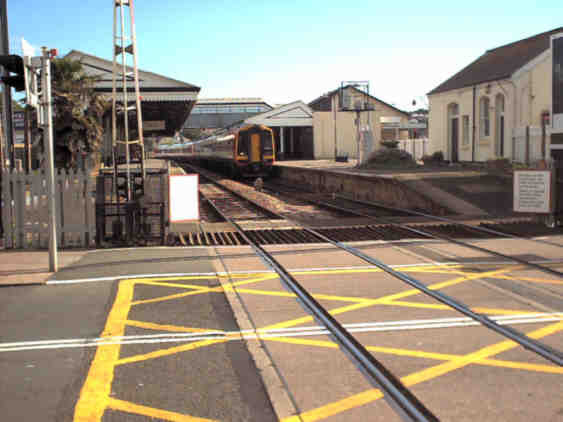 There are photos showing the changes at Paignton over the years on Change at Paignton including some taken in 2002 and 2003.